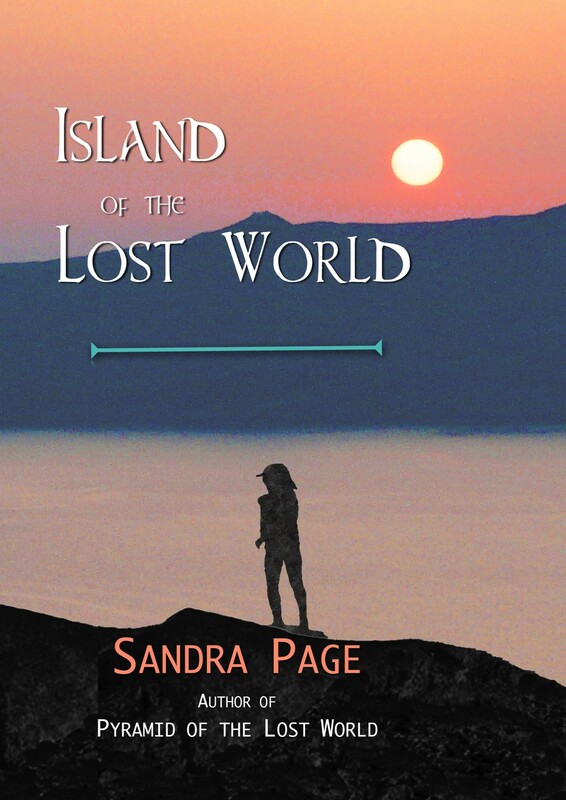 Sandra Page | The exciting "Lost World" adventure series by Sandra Page introduces ancient civilizations to middle readers. 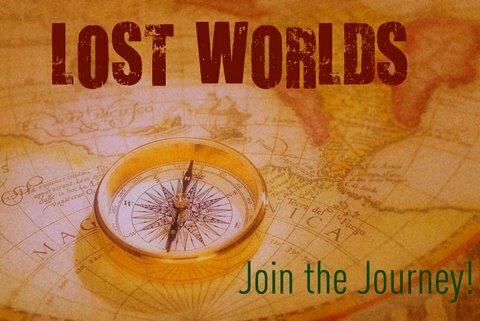 Join Carly Sullivan and her best friend Zoë Adams and journey to lost worlds. Share their spine-tingling adventures at digs in the Guatemalan rainforest, on a Greek island, and among the Celtic Irish. Everywhere they go, trouble follows. In these stories, there are thefts, kidnappings, snake and bat attacks, earthquakes, secret cults, toothless oracles and threatening giants. They scale pyramids, shiver in dark caves, snorkel among dolphins, and dance with little people. And they leave these enchanting places with a thirst for more—more fun, more new friends, and more lost worlds. Mrs. 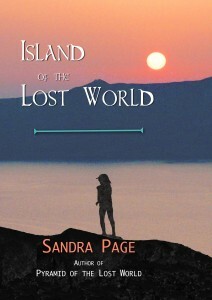 Page created the Lost Worlds trilogy to share with readers the thrill and magic of lost worlds. Through the lens of a modern young girl, each novel plunges the reader into the mysteries of a unique lost world: first the Maya in PYRAMID OF THE LOST WORLD, then the Minoans in ISLAND OF THE LOST WORLD, and finally, coming in 2018, the Celts in QUEEN MEDB’S LOST WORLD. Carly Sullivan is a smart and feisty risk taker who battles dangers, both external and internal, to achieve her goals. Some battles she wins, others she loses, but she emerges significantly changed at the end of each adventure. When Carly’s mother agrees to let Carly and best friend Zoë accompany her on an archaeological dig, the girls are ecstatic. Three months in the jungles of Guatemala helping a team of archaeologists unearth ancient Maya artifacts—what could be more fun? When a valuable artifact goes missing, though, Carly’s mother gets blamed, and their dream summer turns into a nightmare. With the help of Zoë and new friend, Lio, Carly sets out to catch the thief and save her mother’s job. The friends scale Maya pyramids, search secret caves, and confront fearsome wildlife. They soon learn the jungle is alive with danger, especially when you’re hunting something that doesn’t want to be caught. Newly released and available to order through Amazon, Carly’s second exciting adventure, ISLAND OF THE LOST WORLD. Once she thought the hardest thing in the world was killing a venomous snake. Now, Carly Sullivan faces a more monstrous danger, one that imperils not only her life, but also the lives of those she loves most. When Carly and best friend Zoë arrive on the Greek island of Kalliste, they expect a summer of Aegean sun and snorkeling. Instead, their friendship and even their very lives are soon in grave peril. After Greek friend Vivi disappears, Carly witnesses a bizarre Earth Goddess ritual and quickly concludes that cult members abducted her new friend. Determined to find Vivi, Carly grasps for clues to her location. She consults ancient myths and a frightening oracle. She explores hidden sea caves and climbs ancient mountains, all to no avail. But even if she succeeds, what will happen next? Will her efforts turn the evildoer’s malevolent eye to another victim–and then yet another? Coming soon, the last novel in the trilogy, QUEEN MEDB’S LOST WORLD. Once she thought the greatest evils lurked out in the wide world. Now Carly must confront her most difficult challenge ever, one that forces her to plumb the deepest layers of her heart, one that risks overturning her most cherished notions of family and friendship. Ms. Page has long been drawn to the places and people she calls "lost worlds." These people once enjoyed the admiration, and sometimes the fear and envy, of the rest of the world. But then something happened to them, sometimes something unknown, and their importance and distinction declined and they became "lost" to us, their achievements hidden. To experience first hand the past glories and subsequent decline of these lost worlds, Ms. Page became a frequent traveller to ancient sites, first as a child with her parents and later with her own family. 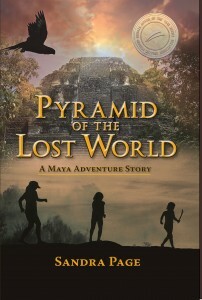 When she was nine, she visited Guatemala and Mexico where she first encountered the Maya. The people, their history, and their culture captivated her. Many other trips and different lost worlds followed. At each site, she felt as Carly does in PYRAMID OF THE LOST WORLD: "There's something about being here—about actually seeing how much they accomplished and how much they lost." It's as though the spirits of the lost people linger in these places, hoping to resurrect and reclaim their forgotten glory. As though they yearn for someone to retell their ancient stories. In this new series, Sandra Page does just that.